UPDATE: Read the response to media reports from Kaloti here. A major breach of international rules to combat the underground trade in gold and industrial metals linked to money laundering, African warlords and human rights abuses has been uncovered according to human rights group Global Witness and whistleblowers. According to Global Witness, Dubai-based Kaloti Jewellery International, one of the world's biggest gold refineries, ignored conflict mineral guidelines and in 2012 paid out more than $5 billion in cash for gold from undocumented sources. 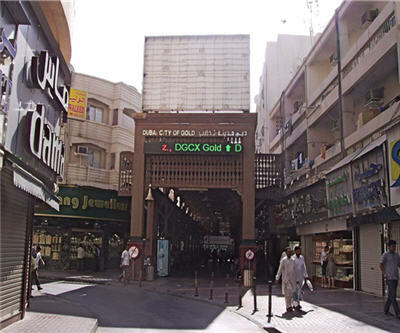 Dubai is a key market – trading more than 20% of the world’s gold, worth $70 billion in 2012. Global Witness says in its report Dubai appears to be the main destination for conflict gold from the Congo, where a more than a decade long war is estimated to have claimed some five million lives. According to a whistleblower and former partner at Kaloti's auditor Ernst & Young, the accounting firm turned a blind eye when a report of major audit failures went unpublished. Documents seen by Global Witness suggest that "the local metals regulator, the Dubai Multi Commodities Centre (DMCC), changed its audit guidelines after becoming aware of negative findings in Ernst & Young’s report, with the effect that damaging results were not released." The Ernst & Young audit found that in 2012 Kaloti failed to report potentially suspicious cash transactions worth over $5.2 billion, which represented more than 40% of the company's total turnover in 2012. It is also alleged that the firm knowingly accepted tonnes of gold bars painted silver imported from Morocco by suppliers who had used false paperwork, and bought 2.4 tonnes of gold in more than a 1,000 transactions from people who walked in off the street. Kaloti is also accused of paying cash to suppliers from another war torn country Sudan, who had "hand carried gold to Dubai sourced from small-scale, artisan mining operations." Sudan’s Darfur province has also recently witnessed outbreaks of conflict between rival militia over the control of artisanal gold mines. Read the Global Witness press release here and download the full report here.